In my own PhD research I often undertake background reading on creativity-based research. With the imminent (and sad) demise of HE subject centres (our own in the Performing Arts being PALATINE) I’ve been looking through their materials to ensure that nothing useful gets lost when their website is taken down during mid-2011. While trawling I found an excellent article about institutional strategy for e-learning, presented at the Creativity or Conformity conference 2007 in Cardiff. It addresses some of the challenges HEIs face when trying to harness the ‘Lone Ranger’ enthusiasm of early adopters of e-learning practices (including Web 2.0 tools – the focus of this blog). I’ve uploaded the document here just in case the original web source is removed. Interestingly, this is another example of the ever-increasing number of formal HE research papers that are freely available online (as much-discussed in this blog previously). The first sentence of the abstract summarises the article’s perspective neatly; “The creative use of elearning technology is both fostered and retarded by higher education institutions”. Taming the Lone Ranger: The Creative Development of Elearning Technologies within UK and US Higher Education Institutions (Whitworth & Benson, 2007) – download Word document. Here below-pasted is the full text of the article (copyright retained by the authors). Copyright © in each paper on this site is the property of the author(s). Permission is granted to reproduce copies of these works for purposes relevant to the above conference, provided that the author(s), source and copyright notice are included on each copy. For other uses, including extended quotation, please contact the author(s). The creative use of elearning technology is both fostered and retarded by higher education institutions (HEIs). HEIs can be classified as professional organisations, in which core workers (academics) retain considerable autonomy, but these organisations struggle to benefit from their creative energies in a wider sense. Mintzberg’s work shows that universities as a whole find innovation difficult. These large, mature organisations cannot simply reinvent themselves as “innovative” organisations. 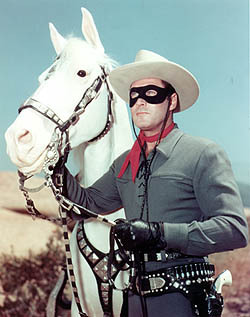 One suggested approach to elearning innovation in professional organisations is what Bates (2000) has called the Lone Ranger model. But even Bates suggests this model will die out as HEIs’ use of elearning matures. This paper uses three case studies of “Lone Rangers” to show how elearning innovation has been fostered and developed within HEIs. Our case studies exemplify different relationships between the Lone Rangers and their host organisations: Lone Rangers may be marginalised, may stay independent, or may accommodate themselves and their innovations to organisational needs. Far from having been exiled, the Lone Ranger is alive and well—working, without institutional support, on the next generation of elearning technologies. Keywords: Creativity, innovation, course management systems, higher education institutions, Lone Rangers, case studies. Higher education institutions (HEIs) are institutions with an educational remit, but they are also workplaces, and organisations with an interest in innovation in a more instrumental, economic sense. No matter how creative the solution to a pedagogical problem, these innovations cannot flourish and spread in the absence of a sympathetic organisational culture. The subject of our paper is the relationship between elearning innovators and their host organisations. How do the creative activities of individual academics stand in relation to the hosting HEI? Like all technologies, elearning is socially shaped (Williams and Edge 1996; Dutton et al 2004). And the possibilities for social action in an environment are constrained by extant technological infrastructures and the information flows they facilitate. The technology/ organisation relationship is therefore characterised by both social shaping and technological determinism: it is co-evolutionary (Andrews and Haythornthwaite 2007). This is a paradox for managers of HEIs. Any organisation has an instrumental, macro-level interest in innovation. Management gurus stress this so strongly that we call it INNOVATION, in upper case. The justifications are quantitative and economic: the impetus behind the development of new processes and products being the improvement of profit margins and market performance. INNOVATION literature appears in journals like the Harvard Business Review, and is targeted at executives and other senior planners. For example, Garvin (1993) bemoans the tendency to treat innovation as random or spontaneous. He suggests that managers need: a plausible, actionable and easy to apply definition; clear guidelines for management practice, not aspirations; and tools for assessing performance. Roffe (1999) focuses on the need for training and staff development, and Valcke (2004) on change management strategies. Irlbeck (2002), writing more specifically about HEIs, felt there was a lack of necessary leadership skills vis-à-vis elearning innovation, stating that “there is little education for the management of this field, which brings a peculiar need for the understanding of academic culture and mores, together with a need for excellent modern management skills that encourage creativity and marketing knowledge and skills”. All take a “strategic choice” (Child 1972) approach to INNOVATION, suggesting that a creative culture can be inculcated in an organisation through strategic management decisions. However, responding to the challenge of elearning is not just a matter for institutional leaders. Learning is a necessary organisational response to change in any environment, but for organisations to be effective, learning must take place at all levels. It needs to be self-sustaining (Senge 1999), and self-critical (Argyris 1999). Yet macro-level, strategic INNOVATION may struggle to adapt itself to diverse contexts. Scientific knowledge can be abstract and generalised, but technological knowledge is always partly “micro-cognitive” (Bonaccorsi & Pammolli 1996). Technology is more “hands on” than science, often being developed through rough approximations and testing (Nightingale 1996), and always adapting to circumstance. INNOVATION risks retarding individual workers’ ability to experiment with, and thereby self-critically evaluate, new technologies. INNOVATION may be a macro-level success factor for organisations, but we need to understand how it is also practised in their own workplaces by individuals responding to contextualised, quotidian situations. What are the specific contexts faced by micro-level innovators within HEIs? How do the micro- and macro-levels work together—or do they in fact cancel each other out? Mintzberg (1989: 173-195) classifies HEIs as professional organisations. They are large and loosely coupled (Weick 1976), with a generally autonomous professional core, supported by a more hierarchical support staff. Gooley and Towers’ “ocean liner” metaphor (see above) has some credence, though Mintzberg observes (1989, p. 188) that “the professional organisation is, paradoxically, extremely stable at the broadest level and in a state of perpetual change at the narrowest one.” Pockets of innovation emerge frequently, and the literature is replete with accounts of them (e.g. McPherson and Nunes 2004). But dissemination of innovative practices is difficult. “Loose coupling” is evident in the distance between different academic departments, to the extent that—as we will see—departments can actively disassociate themselves from the INNOVATION goals of the wider organisation. Weick notes (1976: 2) that loose coupling can seem “sloppy” practice from a management perspective. Nevertheless, it is empirically evident in HEIs. Effective management responds to what is, rather than what should be present (Mintzberg 1989: 26-42); we can also ask why it is that despite loose coupling there are still “remarkable constancies” in practice across HEIs (Weick 1976: 1). Educational innovations are as often produced by processes of negotiation (Cervero and Wilson 1998) and/or situated action (“on the ground” responses to educational problems – Suchman 1987, Carr and Kemmis 1986) as by planning or strategising. Education is less a “science” than a practice which must constantly update itself in the face of new challenges in specific situations (Carr and Kemmis 1986). Educationalists must learn about their work environment—its organisational structures and its technological infrastructures—if innovative solutions to pedagogical problems are to be found. Elearning solutions, whether developed through institutionalised INNOVATION or more “random” events, must still be adapted to specific contexts by individual teachers. This is (lower-case) innovation; but it is far from guaranteed that its results will fall into line with strategic INNOVATION. Elearning accentuates the problem of how HEIs can respond to a rapidly changing environment. Heppell (2006) goes so far as to imply that elearning constitutes such a severe “disruption” to HEIs that it threatens their existence. In the face of such a threat, management literature would suggest HEIs have to INNOVATE: but what strategies are appropriate in this context? How can creative cultures emerge vis-à-vis educational technology, and how can these be linked with—and fed by—creative practices at the micro-organisational level? The title of Bates’ Managing Technological Change: Strategies for College and University Leaders (2000) suggests it stands in the INNOVATION camp. Yet Bates does attend to the specific context of HEIs. They are distinctive organisational types in which “strategic planning” is not necessarily an effective way of securing staff support for elearning solutions (ibid: 55). Loose coupling means that dissemination of strategies can be poor, and they can be ignored by the autonomous professional core. Strategies are insensitive to the diverse contexts within HEIs, and rarely responsive enough in a turbulent environment. In other words, he claims the Lone Ranger model can seed contextualised learning about technology at the micro-level, and successes can be fed back up to the macro-level. If he is right, this addresses the problem of synthesis between the two levels which, as noted, is where HEIs tend to struggle. So why then does he think this model will—indeed should—die out? “Certainly there is a time in an organisation when the laissez-faire or Lone Ranger approach may be suitable, and that is when a university… is just beginning to commit to the use of new technologies. A laissez-faire approach combined with some cash grants spread evenly across the institution is a reasonable and often effective means of gaining buy-in from faculty and helping them understand the potential and requirements of using new technologies for teaching. We believe this opinion is flawed. Bates implies that a catalyst, such as funding, is required to kickstart innovations which comprise a micro-level “test bed” for the HEI’s INNOVATION needs. However, an HEI does not, once only, “commit to the use of new technologies” for teaching. Educationalists are, or at least should be, continually learning about their environment in a self-reflexive manner (Carr and Kemmis 1986). Technologies continually emerge and are creatively adopted by “Lone Rangers” to solve pedagogical problems. Innovators are in all likelihood already working in their professional capacity on solutions which the management of a loosely coupled organisation may not yet have noticed (see the case studies below). The question therefore becomes, how can top-down INNOVATION strategies and bottom-up situated action complement one another? How can individual learning provoke and sustain organisational learning (Senge 1999), particularly in the face of turbulent technological change? Note also Bates’ phrase, “fails to ensure”. He acknowledges that HEIs are loosely coupled and contain diverse settings in which autonomous individuals try to solve day-to-day problems, but to then bemoan the inability to “ensure” consistent, widespread quality in such an organisation is contradictory. Bates acknowledges the empirical nature of HEIs, but seems to neglect its consequences—that is, loose coupling—and what this means for innovation. We now present three case studies which illustrate the Lone Ranger experience. They are developed from data collected for a project, “Technology at the Planning Table: Negotiating Power and Interests in Course Management Systems” (Whitworth and Benson 2006). Space unfortunately precludes discussion of the theoretical and methodological basis of our work: the most significant influences here are activity theory (Engeström 1999) and the negotiation-based framework of Cervero and Wilson (1998). We conducted interviews with elearning planners, instructors, assistants and developers working across eight online Masters’ programmes; four in UK universities, four US. At the time of writing, detailed coding of these qualitative data is underway to analyse the relationship between context and activity, and the subsequent impact of innovations. Limited space means we cannot reveal details of the coding, but in each case we draw on information about personal history, perceptions of organisational context, creative activities undertaken, and the interviewee’s perception of their impact. Although reports are subjective, we believe our data provide valid pictures of states of affairs within our case studies (Whitworth and Benson 2006). All personal, programme, and institution names have been changed. These narratives do not show failure as such, but are far from being full successes from an institutional point of view, despite positive impacts on Lone Rangers at a personal level. This may seem to support Bates’ view that the approach cannot scale up. However, although our summaries are brief, they also suggest that his dismissal of the model is perhaps unfair. Alby is a classic “Lone Ranger”. HeeHe innovated in elearning without direct financial support. From 2000-2005 he worked in the School of Computing of Northborough University, a large “redbrick” HEI in northern England, before joining a different university. He was part of a team called “ICT-Ed”, who developed ICT and information literacy skills in non-Computing undergraduates. Alby inherited a “primitive” HTML site on taking over a web design course in 2000. Over five years and three versions, he developed this into a site through which students could complete the course entirely online. He conducted research on the efficacy of the site, motivated by studying for the PGCLTHE qualification, but received no funds or other direct departmental support for this work. Northborough has an institutional CMS—itself developed by “Lone Rangers” in a different department—but Ed considers Computing’s own electronic infrastructure to be better matched to their needs. Loose coupling allows for this sort of autonomy, and resultant technological diversity (see also case 2 below), but can also detach innovations from strategic planning, even at the micro-level. Ed told us in his interview that ICT-Ed did in fact use the institutional CMS: actually, this was not the case. In many other types of organisation—and in the INNOVATION literature—this lack of knowledge about the creative technological activities of a “subordinate” would be considered an extraordinary lapse. Note also the unplanned career progression here. As is common in HEIs Alby “grew into” his position, through teaching assistant work, rather than having been appointed as an experienced practitioner with specified skills. Alby did conduct self-critical enquiry into his own and his learning environments’ effectiveness, and has determined that he wants to continue using—and innovating through—CMSs and web-based teaching. But this will be in his new job. At Northborough, his marginal status cut off both his own career progression and the dissemination of his innovations. Ed noted that Alby’s innovations remained in use after his departure, but they remain cocooned in ICT-Ed; a marginalised team in a department which (in CMS terms, and through choice) is marginalised in Northborough. We cannot dismiss the possibility that a suitable job might have arisen for Alby, but this is the sort of random factor that INNOVATION advice suggests should be better managed. Nor are we passing judgment on Northborough’s culture and treatment of “micro-innovation”. Nevertheless, Alby’s case reflects the difficulties HEIs have in identifying and supporting innovators and disseminating, if not solutions, then learning. Alby’s work brought him personal success – a “tenure track” position at another Russell Group university – but his innovations have at best been preserved at Northborough; it seems unlikely they will be further developed. Nor will Northborough directly benefit from his future work. E-Tech is an online program which introduces practising teachers to educational technologies, hosted at the University of Arcadia (a large US state college). It contained online elements as far back as the 1980s, with email and bulletin boards used in a blended model alongside face-to-face monthly workshops. Though clearly innovators, in this period E-Tech received no direct institutional support: widespread online teaching was not, at that time, on any HEI’s agenda. However, in line with the Bates model, in the early 1990s Arcadia released funding to develop online teaching. Two interviewees, Terry and Niall, collaborated on a successful bid for these funds which enabled them to take E-Tech fully online. According to Terry, Niall and current manager William, E-Tech was from the start a “laissez-faire” environment in which experimentation with technologies was encouraged. This springs directly from pedagogical needs: E-Tech’s students themselves work within diverse technological environments, and are encouraged to solve problems with reference to their own situations. Although Arcadia has an institutional CMS (WebCT), E-Tech does not therefore demand the use of particular elearning solutions. Only certain minimal standards (for example, consistent styles for web pages, specific logos) are expected. However, most E-Tech faculty have recently adopted Moodle as a CMS. Quentin, the team developer, “discovered” it and disseminated his experience among other faculty: a process akin to Bates’ claim that “winners can emerge” from autonomous, self-motivated exploration of different elearning solutions. Independence is not compromised, however. Terry—who continues to teach on the program as an adjunct despite having moved to a managerial post in a different college—has resisted this change. He dislikes certain features of Moodle, such as the chat room, which he finds inadequate for his purposes. He also said that the move would reduce his “ownership” of his teaching environment. He therefore continues to teach his course using a self-created HTML site: only basic tech support and “proof reading” is required from the E-Tech support team. “INTERVIEWER: If you had to develop another new course now, would you stick with the single clean website approach? It seems that despite the fact E-Tech are not as self-consciously independent of their parent HEI in quite the same way as Northborough’s School of Computing, it remains the case that E-Tech’s work—originally seeded by “Lone Ranger” funding—has not really disseminated through Arcadia. Yet let us also note that some adaptations made by Quentin—as part of E-Tech’s autonomous, self-critical processes of enquiry—have been included in revised Moodle source code, and all E-Tech’s senior academics have published widely in the field of elearning (though we cannot cite for reasons of anonymity). We suggest that only the most crudely instrumental criteria for judging INNOVATION could view E-Tech as a failure. EFL-1 are a UK online programme based at Middleton, another large redbrick member of the Russell Group. They recruit teachers of English from a global market. Like E-Tech, they were early innovators in distance learning, with mixed-media teaching having been offered since the 1980s. “Lone Ranger” funding has recently enabled EFL-1 to recruit former students as development assistants on the programme: some have subsequently become fully-fledged academic members of the team. Interestingly, Felicity specifically states that the main driver for innovation in EFL-1 is not funding, despite the fact that such money enabled someone like Joanne to be recruited in the first place. Rather, the main driver in her eyes is the educational problems they face in dealing with their diverse, global market, with students located in areas where reliable broadband access may not be available. EFL-1 are autonomous, but they are not independent in the way of E-Tech or Northborough Computing. They are embedded into the CMS infrastructure provided by the university: not just the system itself, but sources of technical support and development advice. However, they remain responsible for their own adaptations of—and to—the system. As Bob noted in Arcadia, contextualised teaching situations like EFL-1’s are the best place to experiment with elearning. The question of whether their creative practice can “scale up” to the macro-level is not really relevant. Adoption of WebCT was a macro-level INNOVATION decision at Middleton. “Lone Ranger” funding was here used as much to adapt to INNOVATION as to produce micro-innovation—in fact the two levels now go hand-in-hand, through the feeling that this accommodation is under constant review. Lone Ranger funding therefore remained useful to EFL-1 even after their HEI, in Bates’ terms, “committed to the use of [a specific] technology in teaching”. Three scenarios are apparent here, which we summarise as marginalisation (Alby), independence (E-Tech) and accommodation (EFL-1). The last seems the most progressive product of these “Lone Ranger” activities, but even here, EFL-1 have not adopted the campus-wide solution in an uncritical, and thereby uncreative fashion. We suggest these narratives suggest a need for the continual provision of “Lone Ranger” funding within HEIs, despite Bates’ claim that the resourcing of elearning should have outgrown that model. In each case, innovation in elearning predated institutional attention to it, and there seems little reason to believe that further developments in elearning are already on the institutional radar. The production line has not halted: Ed observed that his department were engaged in work on techniques such as interface design, AI and Grid technologies which “in maybe 10, 20 years” would offer new possible elearning solutions. In fact, such developments may themselves result from Lone Ranger funding. Bates’ criticism of “amateurish” results is devalued by the fact that EFL-1’s CMS — WebCT— was noted by Bates himself (2000: 74) as resulting from such funding: an excellent return! Dissemination of knowledge may often be poor and haphazard but here we need to look not at what Lone Rangers are doing but at wider organisational characteristics. If universities want to retain their ability, as organisations, to INNOVATE, creativity must bloom somewhere, despite pressures towards consolidation around single campus solutions. We learn about elearning best in teaching settings – which by definition, administrators and developers do not enter. Lone Rangers continue to work on creative solutions to the problems posed by new developments in elearning technology, and do so in ways which centralised, strategic planning cannot address. This situation has not changed simply because HEIs have moved into a more mature relationship with elearning: in fact they have only just begun to explore the possibilities of this technology. The very nature of HEIs requires a different approach to INNOVATION than is typical in the mainstream management literature. Attempts to override autonomy by imposing campus-wide solutions seem as likely to lead to “subversion” of the technology as adaptation to it: and even adaptation requires ongoing institutional support which is applied in micro-situations and is thereby sympathetic to context. We would like to acknowledge support (financial and otherwise) from the Worldwide Universities Network and the British Academy, and also the help of our interviewees. Andrews, R. and Haythornthwaite, C. (2007): “Introducing Elearning Research”, in Andrews, R. & Haythornthwaite, C. (eds): The Handbook of Elearning Research, London, Sage. Argyris, C. (1999): On Organizational Learning, Oxford, Blackwell. Bates, A. W. (2000): Managing Technological Change: Strategies for College and University Leaders, San Francisco, Jossey-Bass. Bonaccorsi, A. and Pammolli, F. (1996): “Knowledge as a Product, Knowledge as a Process: Scientific-Technological Research and Organisational Forms” in Butler, J. and Piccaluga, A. (eds. ): Knowledge, Technology and Innovative Organisations, Milan, Guerini e Associati, 15-35. Carr, W. and Kemmis, S. (1986): Becoming Critical: Knowing through action research, Geelong, Deakin University Press. Cervero, R. and Wilson, A. (1998): Working the Planning Table: the political practice of adult education. San Francisco, Jossey-Bass. Child, J. (1972): “Organisation structure, environment and performance: the role of strategic choice”, Sociology 6(1), 1-22. Dutton, W., Cheong, P. H. and Park, N. (2004): “The Social Shaping of a Virtual Learning Environment: The Case of a University-wide Course Management System”, Electronic Journal of e-Learning 2(1), 69-80. Engeström, Y. (1999): “Activity Theory and Individual and Social Transformation” in Engeström, Y., Miettinen, R.. and Punamäki, R.-L. (eds) Perspectives on activity theory. Cambridge, Cambridge University Press, 19-38. Gooley, A. and Towers, S. (1996): “Turning ocean liners: Managing interactive technology innovation”. In C. McBeath and R. Atkinson (Eds), Proceedings of the Third International Interactive Multimedia Symposium, pp. 149-159. Perth, Western Australia, 21-25 January. Available online at http://www.ascilite.org.au/aset-archives/confs/iims/1996/ek/gooley.html (last accessed 19 Sept 2006). Heppell, S. (2006): Keynote speech delivered at The next generation: 13th Association for Learning Technology Conference (ALT-C 2006), 5 – 7 September 2006, Heriot-Watt University, Edinburgh. Available as an MP3 from http://www.alt.ac.uk (last accessed 28 Nov 2006). Irlbeck, S. (2002): “Leadership and Distance Education in Higher Education: A US perspective”. International Review of Research in Open and Distance Learning 3(2). McPherson, M. A. and Nunes, M. B. (2004): Developing innovation in online learning: an action research framework, London, Routledge. Mintzberg, H. (1989): Mintzberg on Management: Inside our strange world of organisations, London, Macmillan. Nightingale, P. (1996): “Transfer of Tacit Knowledge: Case Studies from the Pharmaceutical Industry”, in Butler, J. and Piccaluga, A. (eds. ): Knowledge, Technology and Innovative Organisations, Milan, Guerini e Associati, 57-72. Senge, P. and associates (1999): The Dance of Change: Challenges of Sustaining Momentum in Learning Organizations. London, Nicholas Brearley. Suchman, L. (1987): Plans and Situated Actions: the problem of human-machine communication. Cambridge, Cambridge University Press. Weick, K. E. (1976): “Educational Organizations as Loosely Coupled Systems” in Administrative Science Quarterly 21(1), 1-19. Whitworth, A. and Benson, A. D. (2006): “Mapping elearning: Visualising the negotiated social shaping of educational technology”. In Whitelock, D. and Wheeler, S. (eds): The next generation: Research proceedings of the 13th Association for Learning Technology Conference (ALT-C 2006), 5 – 7 September 2006, Heriot-Watt University, Edinburgh. Williams, R. and Edge, D. (1996): “The Social Shaping of Technology”, Research Policy 25(6), 865-899.